After weeks of a glowing market that seemed to keep on rising with record on record, the peak was finally reached and the market edged over the other side. Nearly all categories and microns across the country retracted on the week, however it wasn’t enough to cause too much concern. The Eastern Market Indicator (EMI) dropped 14 cents on the week to 1,669¢. The weakening Australian dollar has meant the retraction was not quite as strong in US dollar terms, with just a 9 cent drop to 1,270¢. The Western Market Indicator fell just 8 cents on the week to 1,717¢. The bale offering this week was substantial at a total of 48,409 bales. With the consistently high trade offering over the last few weeks AWEX reported that it has reached the point where buyers were able to be more selective with their purchases. The word on the ground from exporters suggests that the softening market this week is being led by offshore clients pulling back slightly due to tightening credit. 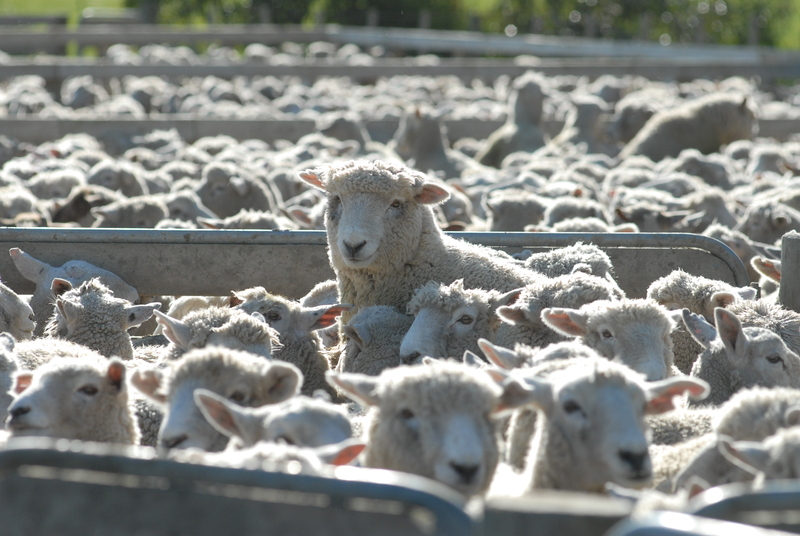 The responding retraction in prices saw a bump in the percentage of wool passed-in this week. It rose 3.2% from last week to 6.4% of bales passed-in. The finer micron wools still appear to be reacting most to any change in the market. The largest price correction was for 18.5 micron, which dropped 35 to 50 cents in the East over the week. Medium fibre wools (19.5 to 22 micron) lost on average 10 to 30 cents, while crossbred wool again demonstrated its volatility in a wide range of results. The finer crossbreds held slightly, to a loss of 10 to 20 cents, but 28 and 30 micron prices suffered on average 40 to 60 cents drops. Skirtings followed the movements of the Merino market showing reductions ranging between 20 and 40 cents. The cardings indicator managed to retain some stability in the East on the week, and even posted a gain of 15 cents in the West. 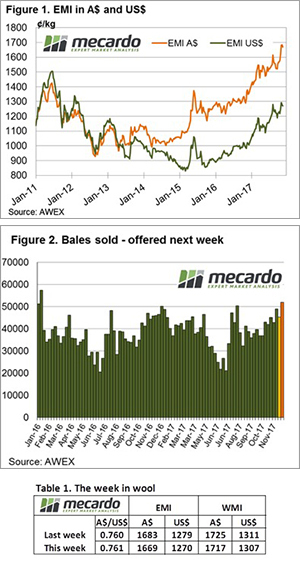 Next week a huge offering of 51,982 bales is tipped across the three selling centres. Significant volumes are expected for Sydney and Fremantle which are providing most of the boost in next week’s offering. Sydney will be holding a designated Australian Superfine Sale on Wednesday and Thursday.